The most interesting people that Uber is now hiring aren’t drivers: they’re engineers whose innovations may ultimately put those drivers out of work. The mobile ride-hailing app has listed a slew of jobs at its new Advanced Technologies Center in Pittsburgh. The research center, created just two months ago in partnership with Carnegie Mellon University, is focused on developing self-driving car technology and other advanced vehicle safety and mapping systems. To staff up, Uber is looking for engineers in the areas of robotics, machine learning, communications, traffic simulation, vehicle testing, and software and hardware development. One Uber posting seeks mechanical engineers with knowledge of modern automotive electronics and diagnostics, who can handle “multiple design challenges.” It also wants software engineers to work in the areas of computer vision, vehicle controls and sensors. Nineteen open positions were advertised online on Monday, many seeking multiple workers, reflecting a serious push by Uber to develop autonomous driving systems. But it’s not clear if Uber is looking to make cars of its own, or incorporate its technologies into other car companies’ vehicles. With Uber’s new center, the company is likely trying to create a lab environment where top engineers and researchers can play around with new technologies, and build up a strong knowledge base, said Joachim Taiber, a professor of electrical and computer engineering at Clemson University who studies self-driving car technologies. Motion planning engineers are sought who would specialize in “production-quality software development or in robotics motion planning or controls algorithms,” according to one post. Manufacturing engineers are sought with prior experience in “vendor interactions and supplier management,” says another. The development of a self-driving car is years away for Uber; indeed, it may never materialize given the financial costs and regulatory and safety issues. The company also faces stiff competition, not only from other tech companies like Google but also traditional automakers like GM, BMW and Toyota, among others. For now, Uber’s priority might be to build up enough research around self-driving technologies to eventually leverage it into a manufacturing agreement with another car maker, said Taiber, who previously headed the Information Technology Research Office at the BMW Information Technology Research Center at Clemson. 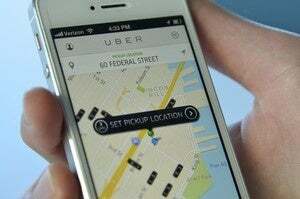 To do that, “Uber’s looking for the right types of people,” he said. Details about the work planned for the Advanced Technologies Center haven’t been shared publicly. Uber declined to provide more information, as did a spokesman for the center in Pittsburgh. But possible clues could be found in some of the job posts. The inclusion of “vendor interactions and supplier management” for manufacturing engineers might suggest Uber is looking to develop a system advanced enough for wider manufacturing, said Bryant Walker Smith, an assistant professor at the University of South Carolina, who chairs the Emerging Technology Law Committee of the Transportation Research Board of the National Academies. Or, with “robotics motion planning,” Uber could be looking to develop technology to help a car autonomously travel along a set route, said Clemson’s Taiber. Uber indicated plans to improve its mapping systems when it said last month it was acquiring DeCarta, which holds data pertaining to mapping, local search and turn-by-turn navigation.